As a committed and professional company Tibard has built our reputation on supplying top quality uniforms across the country. For forty years Tibard has been manufacturing and supplying high-quality uniforms and workwear in St Helens and throughout Wales. From affordable aprons and t-shirts to bespoke chef jackets with personalised embroidery, you’re sure to find the best uniform for your business on our website. Buying your workwear online allows you to select from an extensive range of products and learn more about the products from the comfort of your home. Tibard’s reputation for reliable and quality uniforms means we’ve had the opportunity to work with many businesses in St Helens. We’re happy to cater to both large and small businesses, and we offer bulk discounts for large orders of items should you be interested in purchasing them online. 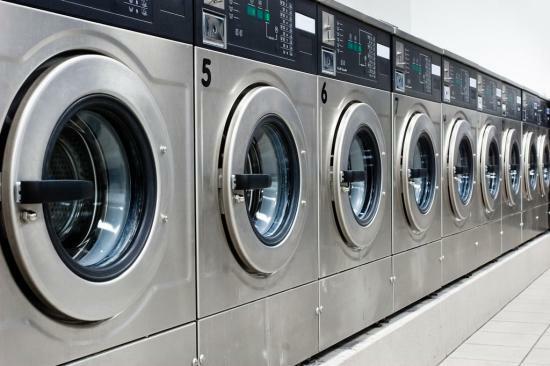 We also offer commercial laundry services for local businesses in St Helens, Wigan and Wale and rental services for a number of satisfied customers. Sometimes a business’s uniform needs range through the year as the amount of staff grows, or the functions of the businesses change. Therefore Tibard provides a richly diverse level of services for companies in St Helens and Wales. Our commercial laundry services are reliable and can cater to large amounts of uniforms. We also have an onsite embroidery team so you can get anything from a t-shirt to an apron embroidered with either your company’s logo or personalise it with your staff’s name. We believe that as your uniform supplier that you shouldn’t limit your business and if you’re after something, in particular, you should just ring our team. As the experts in uniform, every item you see on the Tibard website has been selected because of its excellent quality and premium design. Many of these items are also available to rent from us as well including many of our hospitality and chef uniforms. Wigan and St Helens businesses who use Tibard as their uniform supplier can benefit from our years of experience designing and manufacturing chef jackets. Our uniform solutions provide your businesses with the high-quality, professional look for every member of staff. We supply a range of hospitality businesses in St Helens and Wales and we offer bulk discounts for online purchases. Tibard’s long history of providing and manufacturing uniforms for businesses in St Helens and Wigan means that we’ve made it easy for you to get a high-quality uniform for reasonable prices. This includes all of our services such as commercial laundry, rental and embroidery all of which are available to our St Helens clients. We’re a family run business, so we know how important it is for our customers to be treated as more than just another number. Selling to a range of businesses in Wales from nationally recognised chain restaurants to independent caterers, we’re proud of every order. Each piece is well crafted and works as hard throughout every service. Every style is chosen for its excellent style and great value, we manage a supply chain and work with an international collection of businesses to get the best products for our customers. Learn more about how Tibard’s uniform solutions can help you by taking a look around our website or ringing up our team today.